This week James has been telling me he’s tired during the day. In the car he wants the seat back so he’s reclined. So bedtimes have been quite easy, relatively speaking. On Thursday we had the end of an era – James fell asleep in his bed without me lying next to him. We have cuddled to sleep since he stopped breastfeeding to sleep. I have been next to him every night he’s fallen asleep since he was born. Gosh. I don’t know if he’ll return to needing a cuddle at some point in the future, but perhaps he’s growing up. *sniff*! 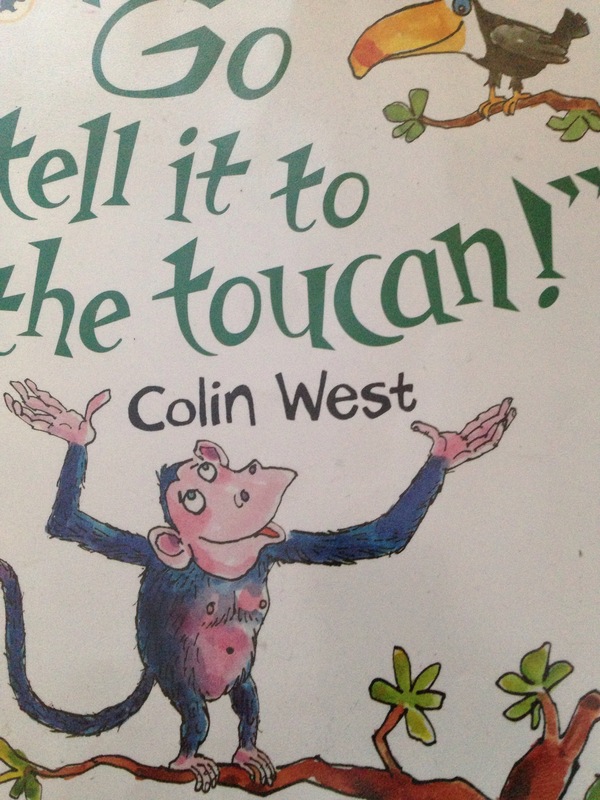 On Monday we read a rather long winded story called Go Tell It To The Toucan. An elephant remembers that it’s her birthday and she tells an animal (I forget who) to tell the toucan so that the toucan will tell everybody and they can have a jamboree. The animal tells another animal, who tells someone else, and eventually everyone knows there will be a party. The toucan ends up being the last creature to hear about the party but gets credited with telling the others. Anyway, it’s not a book I enjoyed reading, but Rob has read it a few times for James. Read it again rating is about a 1/5. On Tuesday we read Where Are You Blue Kangaroo? which is part of the Blue Kangaroo series. This is one of my favourite photos of James as a baby. So you can see, this has been a favourite book for the past two and a half years! Read it again rating is 5/5. On Wednesday we read Goldilocks and the Three Bears. James was so tired that I just told him the story in the dark in his bedroom while he fell asleep. 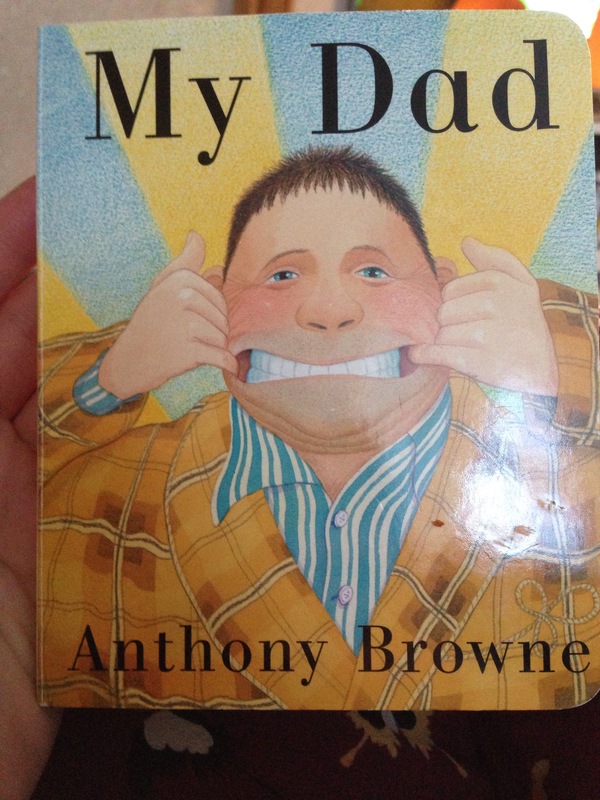 Thursday’s book was My Dad by Anthony Browne. This is a tale about my dad, who is just brilliant! He can eat like a horse, and swim like a fish. We love this book, and it has a lovely message at the end too. Read it again rating is 5/5. 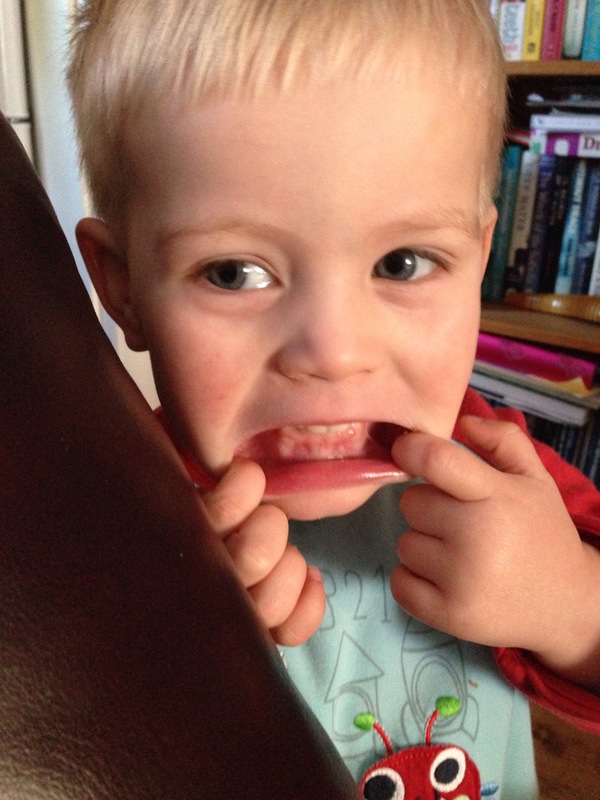 On Friday James had playgroup and came home shattered. I made up a story about a policeman while he fell asleep in bed again. 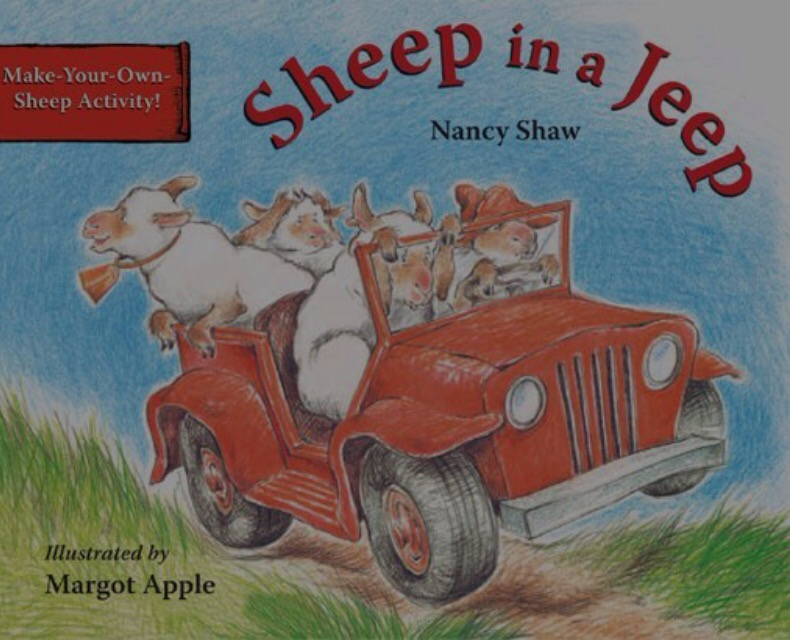 Saturday’s book was Sheep in a Jeep. It’s a cute tale of some sheep who are a bit of a disaster with a car. Everything rhymes so neatly and its a fun read. Read it again rating is 5/5. We had a bit of a funny week this week with bedtime stories, hopefully next week we’ll be back to normal! Oh! Sheep in a Jeep! We had that years ago. Of course, when the children were not around, I thought up other, inappropriate titles for their further adventures to keep myself from going nuts! There are a couple of other books in the actual series! Yes I think those sheep go and have an adventure on a ship. I’d love to hear your versions!! What adorable stories and photos! Thanks for sharing…and for visiting my blog. It’s a really good read, and funny! It’s occasionally discounted on the Kindle store, if you like e-books. we have read sheep in a jeep a few times, a lovely little book. 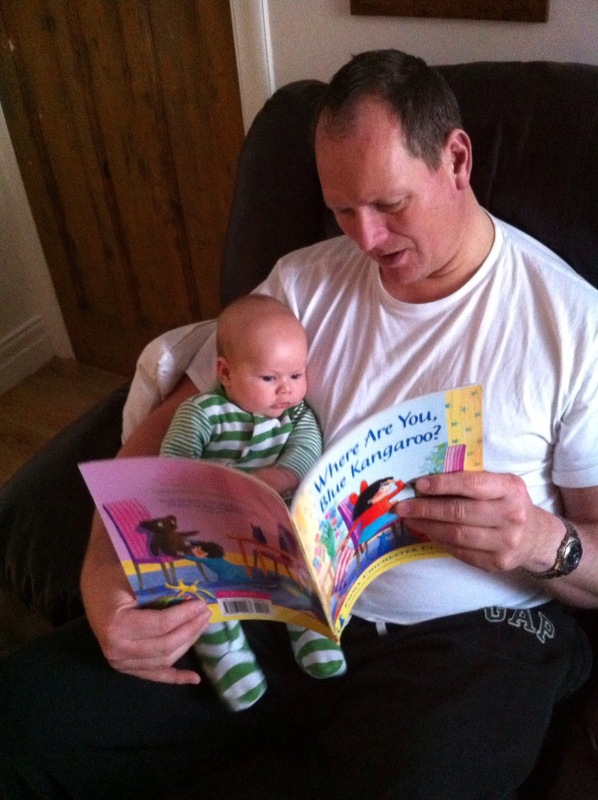 I adore that lovely picture of James and his father reading Where are You, Blue Kangroo? Anthony Brown’s My Dad is just perfect, almost as perfect as James’ imitation. We can’t read My Dad without pulling that silly face! Thanks, I really love that photo too! Anthony Browne is just brilliant. I think there is also a My Mom version of this book that you may want to check out too. Great to see so many lovely photos here. All three look like great books! I’m going to have to go pick them all up. Great review! Thanks for linking it up at the “This Is How We Roll Thursday” link party. We got Sheep on the Jeep from the library and Molly loved it! Not read any of the others. My dad looks good!